These were taken earlier today in south-central Kansas. Both of these birds were in a open wetland area and flew out of tall grass when I was walking on the trail. They were somewhat large and stocky looking but not as large as a great blue heron. They had reddish tones but were mostly different shades of brown from what I saw. When flying away they both made a series of short low-pitched coarse grunt-quack noises seemingly with every wingbeat. 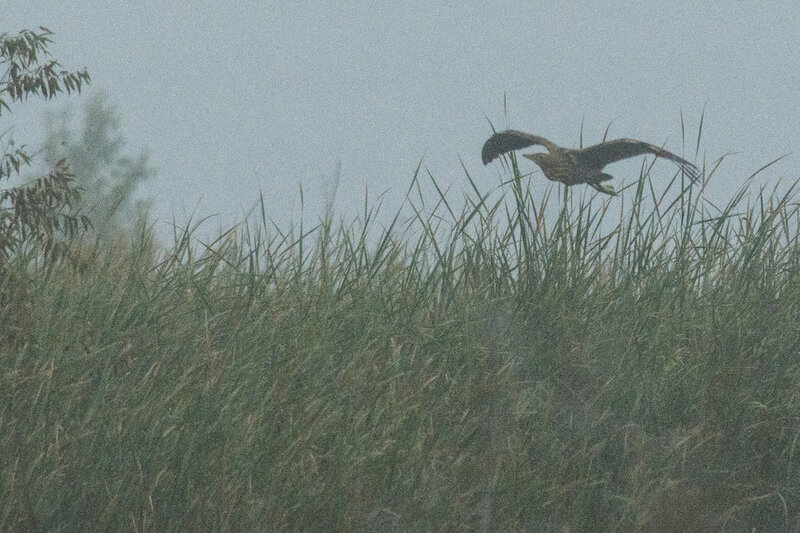 They seemed big for Green Herons but I'm not 100 percent sure they weren't green herons or another species. Thanks in advance!! If they are American Bitterns, that would be a lifer for me and they are birds I have been hoping to see for a very long time so I wanted to be sure. 2. I got better photos of this individual since they flew for a minute before retreating back into the marsh. Both of these birds seemed around the same size and had similar markings and made similar sounds, would it be safe to assume they are both the same species? Thank you so much you guys, this is so exciting!! I had a similar experience/feeling recently. Early morning and I was looking for the roosting location of a Green Heron when something exploded out of the reeds right next to me. By the time my camera was ready it was far in the distance. I have only spotted these occasionally and this is my one image. I have lots of images of Least Bitterns which are considered more difficult, not in my experience. Your silhouette image (second last? ), the drooping neck, looks very similar.